This is a 3-step nutritive facial treatment. Step 1: Daily Scrub Foaming Cleanser contains fine, tiny beads. Helps loosen skin surface & gently yet effectively remove dead skin cells. Replenishes skin with refreshing hydration. Step 2: Revital Ampoule provides whitening & anti-wrinkle benefits. Restores vitality, strength & radiance to skin. 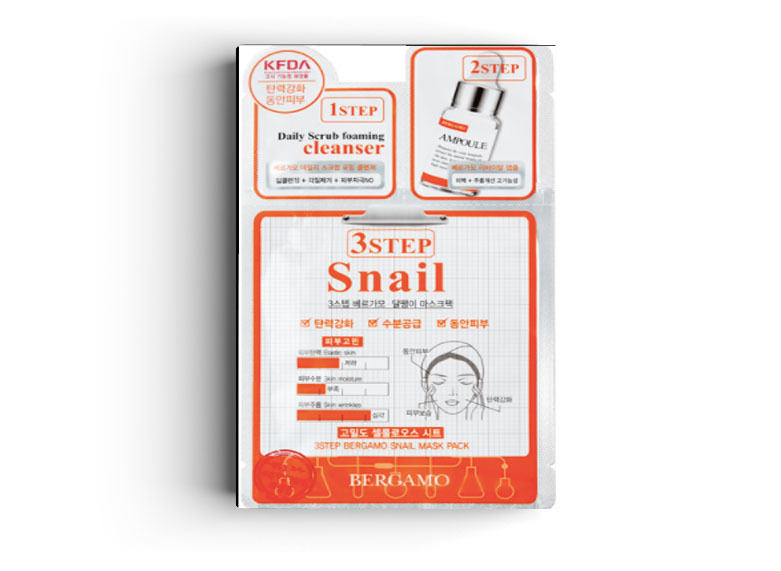 Step 3: Snail Mask Pack is made of a bio-cellulose sheet Contains Snail Secretion Filtrate to provide rich nutrients & deep hydration. Unveils a softer, smoother, soothed, more elastic & healthier looking complexion.